A LOUDSPEAKER in a Westinghouse self-service elevator reminds passengers to release doors, press floor buttons and step to the rear. 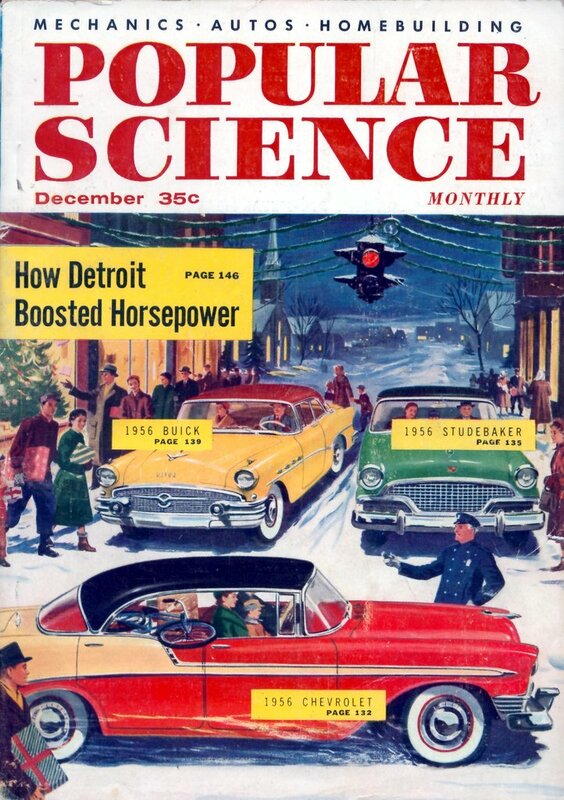 A magnetic tape does the job, even calling off merchandise on each floor in department stores. 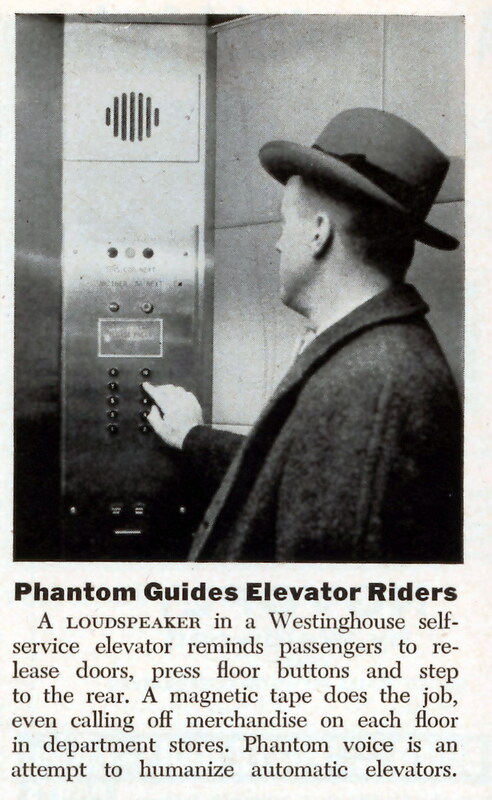 Phantom voice is an attempt to humanize automatic elevators.